oh my Gosh, Courtney, getting that response from you means more to me then I could ever tell you!! It was my complete pleasure and honor to do so!!! Beautiful table cloth! What a beautiful job you did Theresa!! Thanks, Paula!! So glad you like!! This looks wonderful - and so frgually done! Very nice. Pat yourself on the back and sit down and enjoy that beautiful table. Thanks for sharing. So soft and romantic and I love that you made so much out of one thing. You are amazing! I found you at Stringtown Home's link party. Hope you'll stop and see me at Quirky Vistas. Thanks so much, Liz, for your very beautiful compliment!! i'm checking out your "Quirky Vistas" as soon as I finish up here! i love it- so frilly and feminine! That it definitely is, Thanks Cassie, it does change the day for me when I have it on the table with some flowers and china. If you go at the right time, you can find great buys at Goodwill. You certainly did with this table cloth. I never am that lucky. 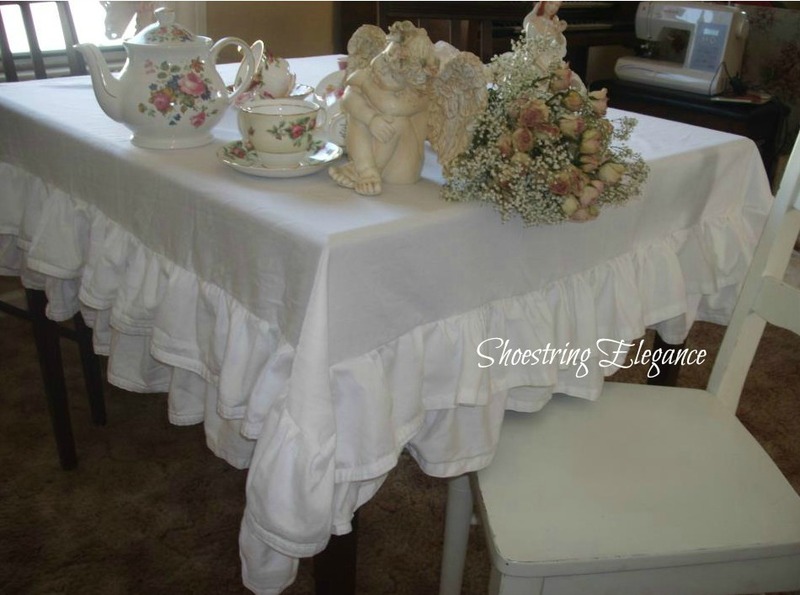 LV, I didn't find this tablecloth, it was 2 white sheets I got @ the GW and used to make the tablecloth, gathered every ruffle myself! Thanks for the comment and checking it out! You're silly! Thank you , my dear, for hosting Thursdays Favorite Things! 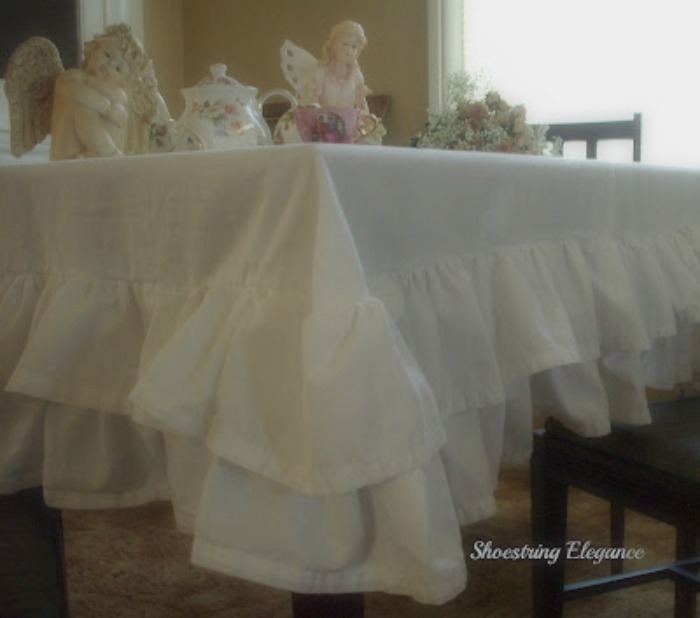 I'm glad you liked my shabby,yet elegant ruffle tablecloth! Having such a blast. 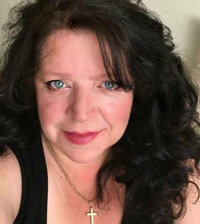 Your bloggy friend, ~Theresa. any chance you would like make anymore of these?? I just need one...lol...i have no idea how to sew!! You are definitly inspiring. Anyone who can make that many projects with $6.00 worth of sheets is a genius in my book. I absolutely love your tablecloth KUDOS! I am a new follower. Love the message under your profile. Ginger, you are most kind! 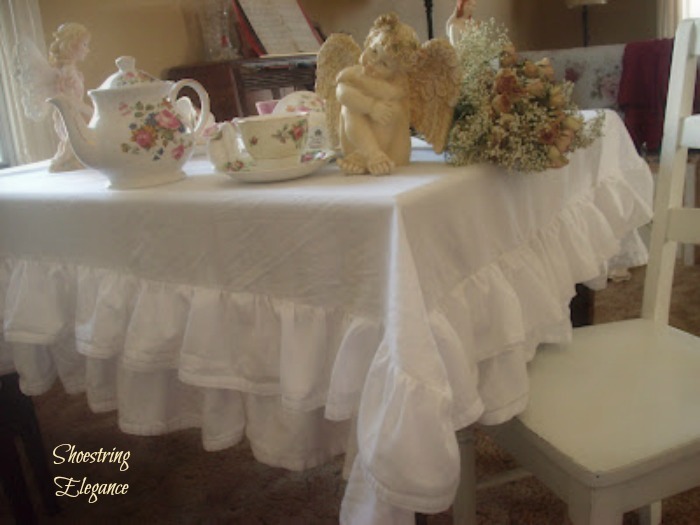 I'm so pleased you liked the tablecloth and even more happy to read you like my profile message. That's me in the nutshell! I'm so happy when I'm able to connect with people of Like minds. Thank you for all your kind words. Oh I love this~need to make one myself when I have the time. Pinning!